The Monsoon Is Finally Here! After getting drenched in the sweat from the blazing heat of summer, it’s high time to say goodbye to the annoying glare of the sun and welcome the long awaited monsoon showers. Undoubtedly, cool and romantic chill of the monsoon sounds no good for you to flaunt your style statement with confidence. Showering rain and puddles are the main criminal for ruining your fashion. It’s really a challenging task to look the best during monsoon season. With this in mind, Tashiara comes up with the great way to keep you look chic even in the monsoon season. Now, you have no reason to feel anxious about dampening your cool style & outing plans. Enlisted below are some tips and tricks that will not only help you get protection from the monsoon showers, but also allow you to enliven the dreary weather with some cool prints and rain-proof accessories which are mixed and matched to heighten your style quotient. Raincoats: Let the gloomy monsoon be an excuse for you to go bold and bright. Go for transparent colored raincoats that slightly reveal what you are wearing from inside. Waterproof your dress by opting printed raincoats with striking floral patterns that gives you a vibrant and colorful look. So, whenever you are buying a raincoat, ensure that it not only protects you from the monsoon showers, but at the same time gives you a stylish edge. Shoes: With the advent of monsoon, people started looking for footwear that would be apt to wear in the rain. So, it’s high time to say goodbye to your stylish leather shoes and stock up your shoe closet with jellies that come in striking hues and are best suited for monsoon showers. They not only turn out worthwhile, but also fun to use with casual or semi-formal attire during monsoon. 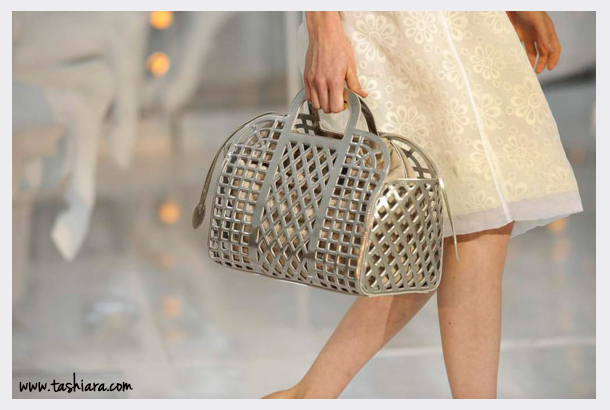 Bags: Once again, leather is a big No during monsoon! Canvas totes with floral appliques and basket bags with dramatic prints add charisma in your personality. Among the diverse varieties of bags available, floral print bags are extremely popular and handy to carry. Another great option is to carry the basket bag that is not only available in a compact size but also considered appropriate when you are heading to your office. 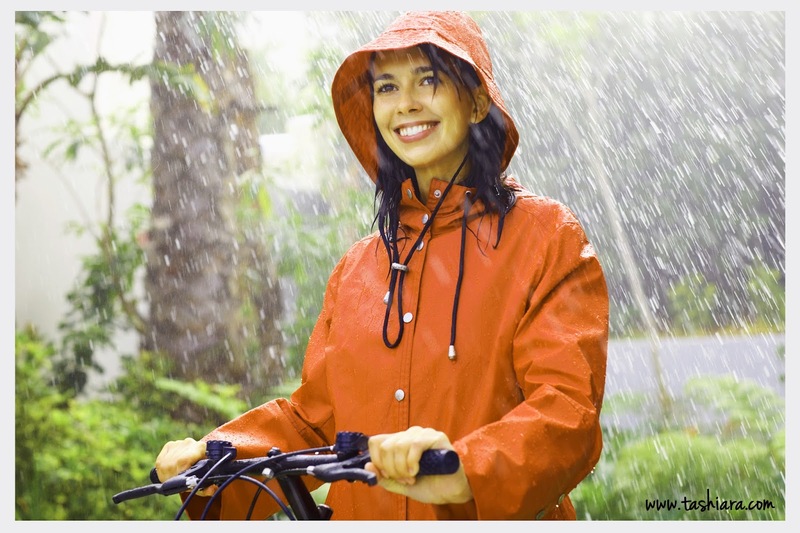 Jewelry: Keep it economical during monsoon. Beady necklaces, wrist watches with bright colored straps and plastic jewelry pieces should comprise your monsoon jewelry box. Generally, people avoid wearing lavish jewelry during the monsoon season. Because, rain can spoil the expensive jewelry pieces. However, you can go for plastic jewelry items that come in bright and vibrant colors. There is a plethora of plastic jewelry items available in the market that can last in the rain without getting ruined. Tashiara Fashion Tip: Don’t forget to carry a jersey wrap dress in your pouch. Such attires are crinkle-free and can be worn as a substitute if you land in your workplace like a wet cat. Also, carry stylish aviators in your pouch before you step out. Thanks Prerna for leaving your valuable feedback.